Click banner above for details. Mike Ehrhard passed away recently and it seems a little foreign to me because in life he knew nothing of pain, sadness or death. Of course he was human but he never let any of his concerns take away from an intense focus on you. Somehow he was able to take himself out of the equation and teach you, encourage you...make you laugh! Mike worked hard at his craft but he never seemed to work at being a person...he was a natural, all joy and love...he needed nothing else. I was always impressed with Mike and how he made his own career with his teaching and studio. He definitely encouraged me to dream and do my own thing. I never spent any time with him that I didn't enjoy. I never talked to him without laughing and I never walked away without learning something. I did have the pleasure of typesetting music for Mike's instructional work 'You're In The Band'. He was so proud when he completed it, yet in typical Mike fashion he did not suffer the sin of pride. His pride came from the joy of doing something well and accomplishing a goal he set for himself. Any thought of how many copies he might sell never came up...the task was complete and his joy was infinite...writing the book was its own reward, the best outcome for any true artist. I'm as flawed as anyone...I have to work hard at being a good person and Mike Ehrhard sure gave me something to shoot for....I'm honored to have known him and still consider him a great friend even though he's gone. I really don't care that Mike Ehrhard is physically gone because his love remains in those he touched...but I sure care that he was here....I do care about that. 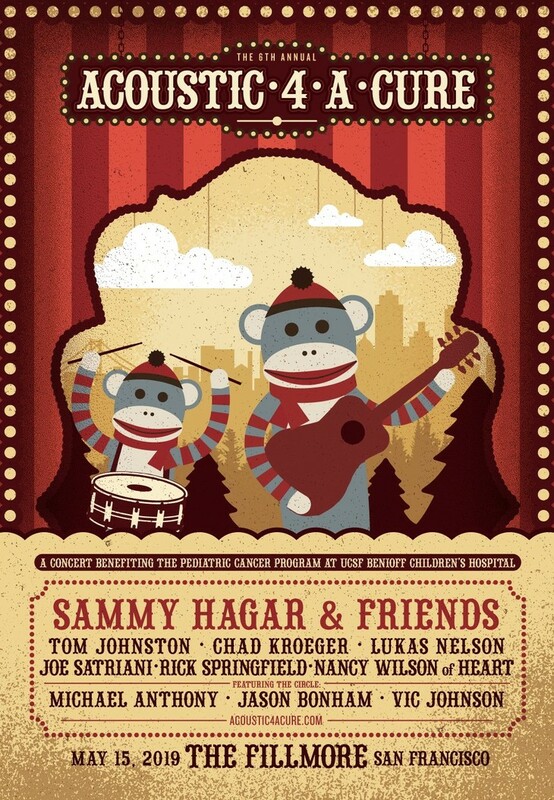 At the age of 62, Chuck Silverman was way too young to leave us. He's inspired so many to not only learn off of his expertise in Latin/Afro Cuban/ Brazilian rhythms, but to open their mind and approach concepts on the drums in a different way. 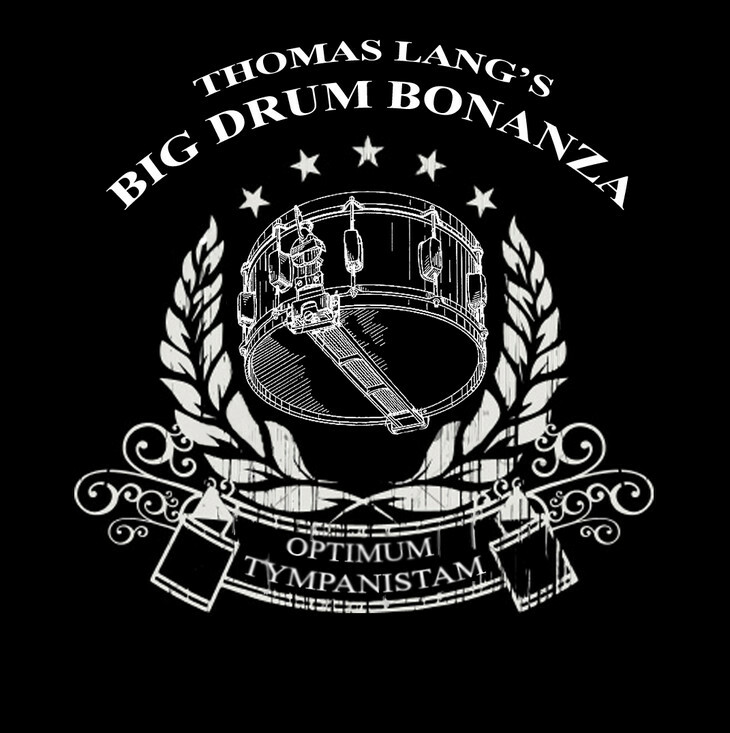 His goal was to turn drum students on to Latin rhythms through any means necessary. If it meant using popular rock or metal tunes that had a Latin influence, then he would use that. He was completely in favor of mixing Latin sticking patterns into modern fusion, jazz and rock drum patterns. In a way, he was for learning the rules...and then breaking them. What separated Chuck from so many other teachers was his infectious enthusiasm for music, culture, drumming and continuing to learn new things everyday. Every year he would take students and drum enthusiasts on an educational trip to Cuba where they would mix with the locals in Havana and even get to play with the local musicians. I regret that I never took one of these trips. He was ahead of his time in so many ways. 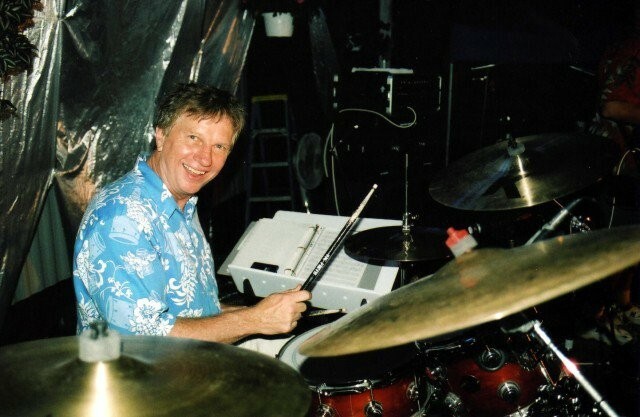 Chuck was the first drummer in the states that I saw play "left foot clave". In the ensuing years many other drummers started practicing this. This was especially peculiar to some back in the day considering Chuck was of Canadian origin and considered a "gringo". Another thing that Chuck did before anybody else was to expose American audiences to the amazing drummers of Cuba. Back in the ‘90s before YouTube and before most people were online, Chuck took a simple Camcorder to Havana and filmed 4 of the top drummers in Cuba playing their folkloric music, which had a clear American influence. These drummers had not been exposed to a world audience due to the isolation of Cuba, but they had access to American jazz and rock through Miami radio stations that could be picked up in Cuba as well as other means of acquiring music. 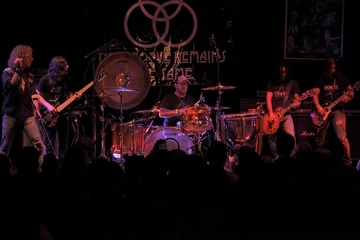 It was interesting to see drummers playing their regional rhythms mixed with a Dave Weckl or Steve Gadd influence. Chuck felt it his mission to deliver the Cuban drummers message and music to the world with the VHS release of "Drumset Artists of Cuba". 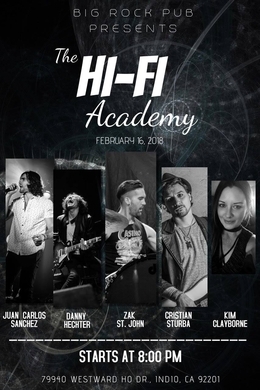 He did the same in the following years with many other video projects such as "Drumset Artists of Brazil" as well as his own groundbreaking, award winning instructional videos and books. I for one will continue to teach and talk about Chuck's unique perspective on drumming and keep his teachings alive. He's been an influence to so many and continues to be. 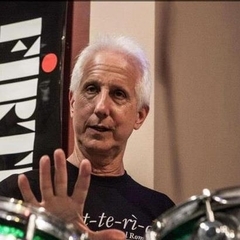 You can still check out all of his books including "Practical Applications of Afro Cuban and Brazilian Rhythms For Drumset" as well as his instructional DVDs and YouTube teachings. His warmth and spirit come through in all of these and it just makes you wanna learn. RIP Chuck "Palito" Silverman. Gone too soon. Mike Johnston is an amazing teacher mostly because he breaks down seemingly complicated subjects so they are easy to understand. We'll have much more on him in DRUMline and you can check him out anytime at mikeslessons.com (Click our picture to visit Mike's site! 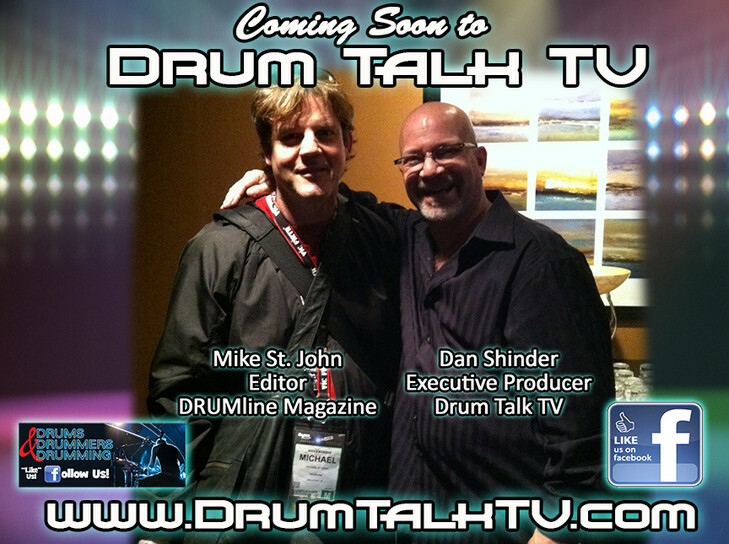 DRUM TALK TV - We are excited to Join Forces with Dan Shinder of DRUM TALK TV to share info and cross promote our site. Dan is leading the way - coordinating media outlets for drumming communication in a dynamic and rapidly changing environment and we are grateful for his support. 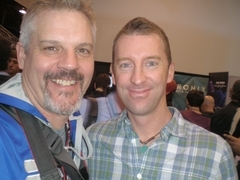 Check out on his site drumtalktv.com.